I am back with another product review. Today I will review about dry shampoo from Powder Parlour. I am not typical person who like to use dry shampoo in daily basis, but I do use it on second day hair, sometimes. I wash my hair every two days, but if I took public transport, my hair especially my bangs easily become oily and limp. So I use dry shampoo to absorb excess oil and give more volume to my hair. 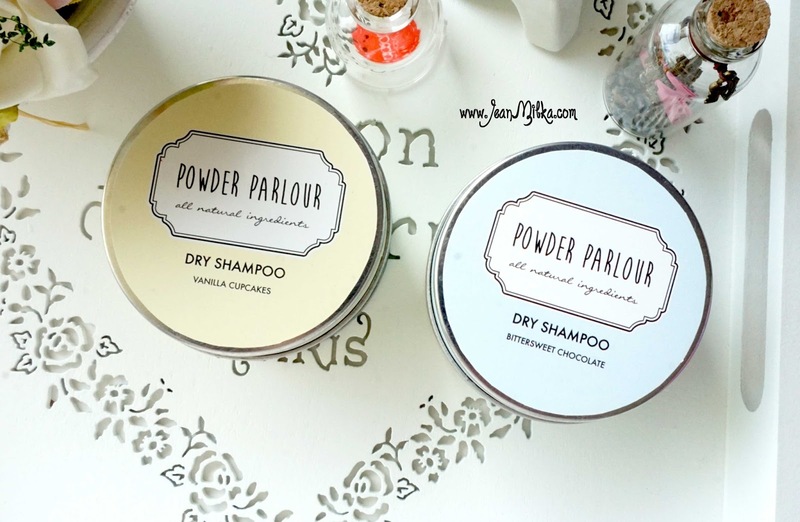 Around last month, Powder Parlour sent me two of their signature dry shampoo. 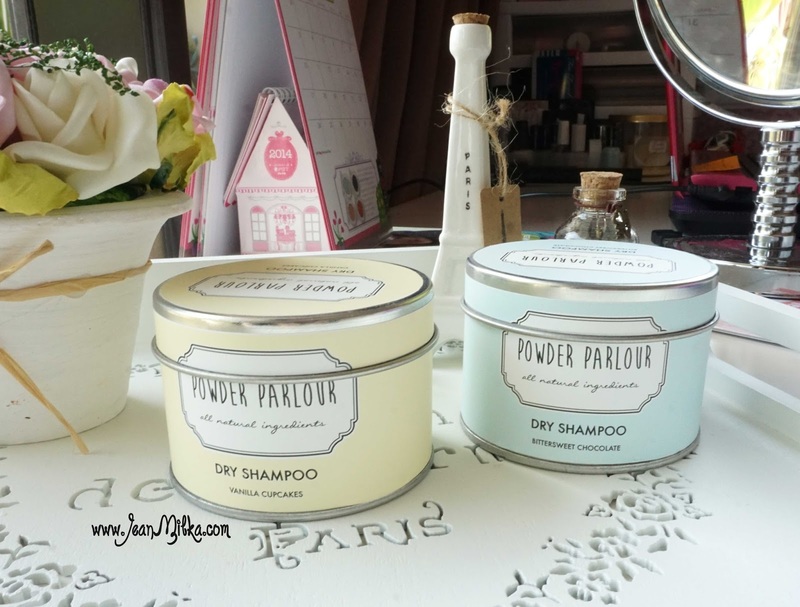 Power Parlour is a hand made dry shampoo brand from Jakarta, Indonesia. First time they contact me, I was fascinated by the concept of this dry shampoo. It is not like aerosol dry shampoo which is very common, Powder Parlour, just like the name, is a powder-form dry shampoo. Powder Parlour have 4 scents of dry shampoo which are Vanilla Cupcakes, Bittersweet Chocolate, Rose Bouquet, and Secret Garden. I am curious about the Rose Bouquet, not only because of the packaging color, which is pink, but also because I am a fan of roses scents. Unlucky I didn't get the Rose Bouquet, I got Vanilla Cupcakes and Bittersweet Chocolate. Powder Parlour dry shampoo comes in iron pot that wrap with one color of Powder Parlour design, each color represents different scent. 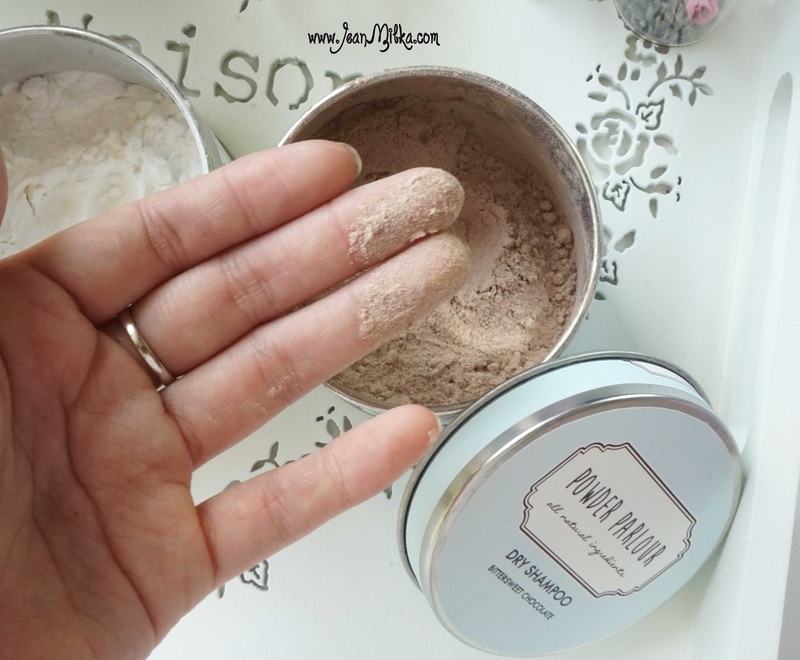 Powder Parlour dry shampoo comes in small powder particles, resemble flour texture. 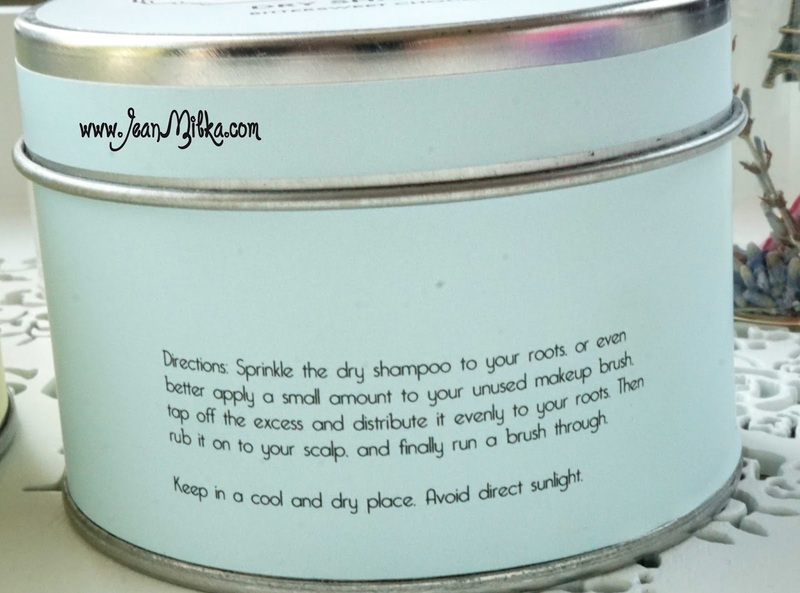 The directions suggest you to sprinkle the dry shampoo to the root of your hair. 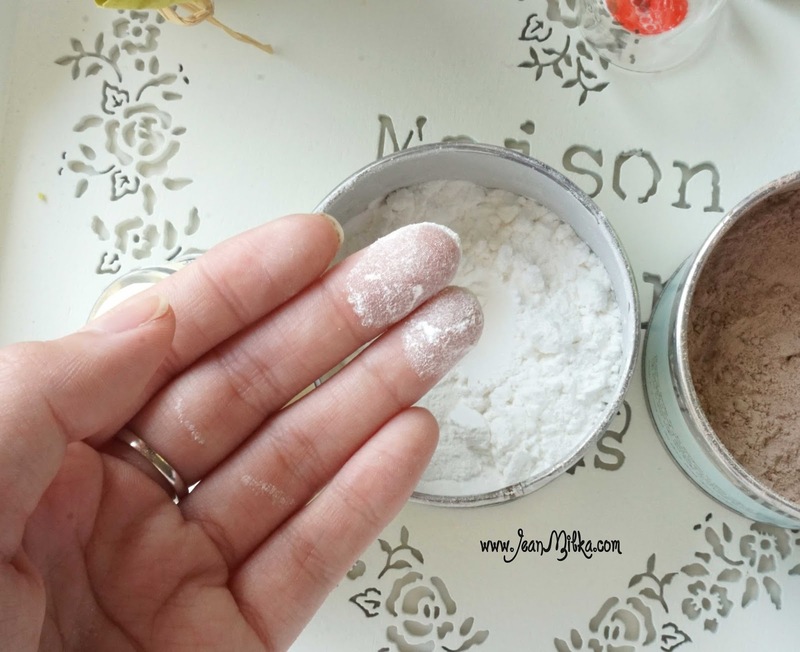 You can apply the powder using unused makeup brush. Vanilla Cupcakes comes in white powder while Bittersweet Chocolate comes in chocolate power. I am not sure what is the color of others scent, but I prefer white to chocolate powder. Bittersweet Chocolate smells like chocolate powder just like the product name, and put chocolate powder to my hair make me feel anxious. Chocolate power is something you eat not something you apply in your hair. Just my silly opinion. Overall I prefer aerosol dry shampoo compare to the powder one. Even tho I am using makeup brush, I found out that the powder was clogged to my scalp. 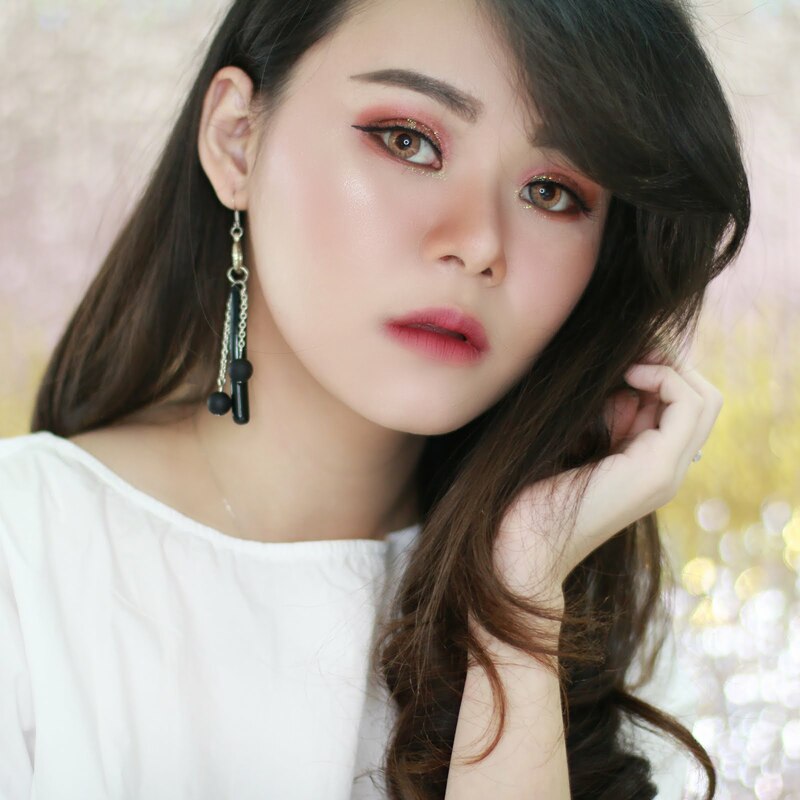 When I apply the powder to my oily hair, it is blend together and create lumps. I don't like it at all, it makes my hair feels dirty, even more. I feel like I want to wash my hair immediately. I would say that this is not a dry shampoo that you can use for second day or oily hair since it doesn't absorb excess oil, just like you can see from the picture above (there is no difference between before and after photo), but this product is good as volumizing product. I am not a fan of big of volumize hair, so I don't think I will repurchase this product. But if you like to have volumize hair and you apply this product on you first day hair that isn't oily at all, I think this quite a good product. That is all for my post. 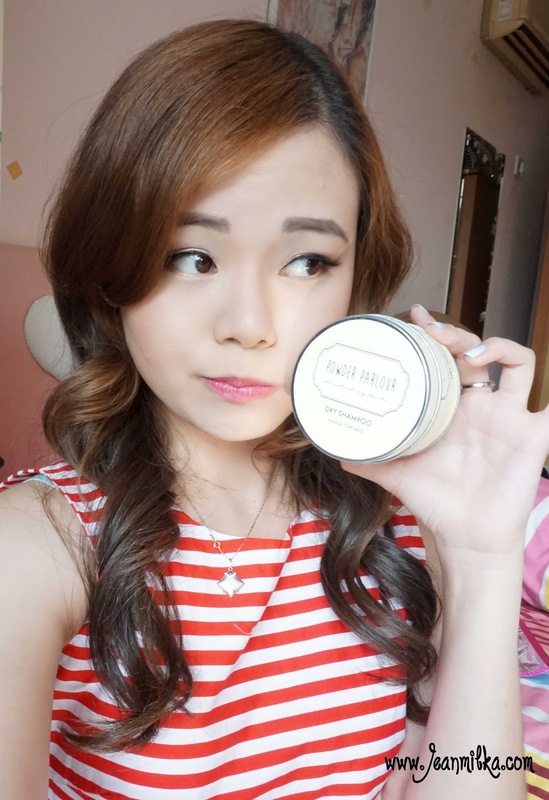 You can purchase this product from Powder Parlour. Readers : Have you ever tried this product? or any kind of another powder-form dry shampoo? what is your opinion? let me know by comment down bellow. 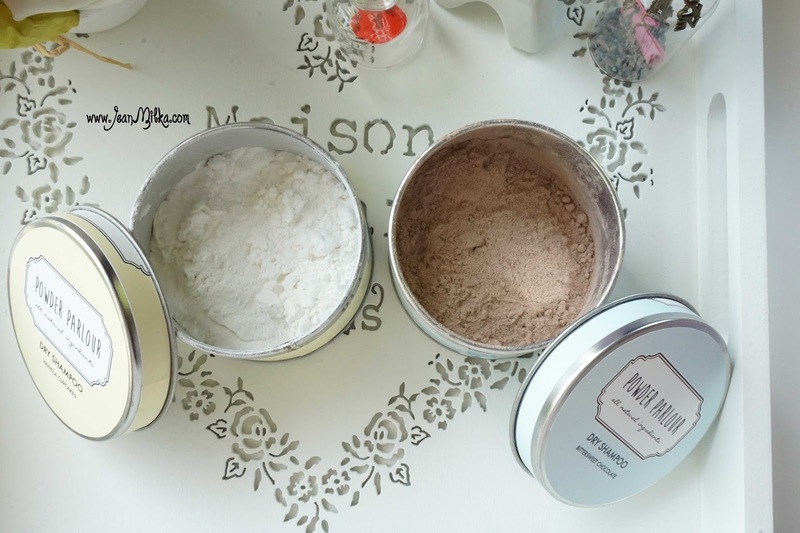 4 komentar on "Dry Shampoo in Powder Texture from Powder Parlour"
Iya setuju.. Designnya vintage dan sweet gitu..